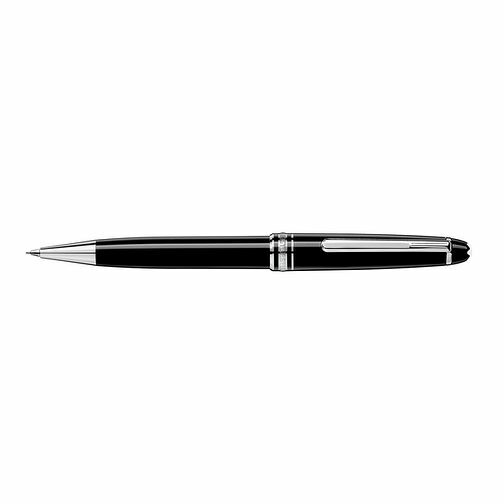 From the exquisite Montblanc stationery collection, this Meisterstuck Classique pencil features a sleek black resin case with platinum-plated fittings, and topped with the brand's white star emblem. Stylish and comfortable to use, this elegant pen beautifully celebrates the art of writing. Montblanc Meisterstuck Classique pencil is rated 5.0 out of 5 by 1. Rated 5 out of 5 by Anonymous from Mont Blanc pencil Excellent service and arrival of pencil. Beautiful and very elegant product to look at and use. Love the detail and features used to use eraser and put new leads in. Love it and would definitely recommend to family and friends. Thank you.